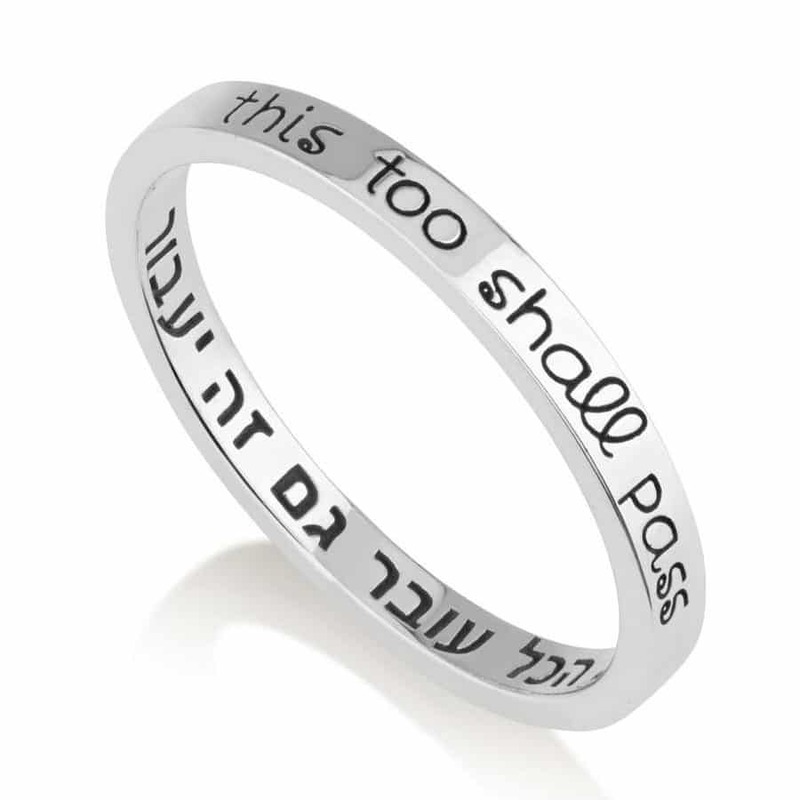 This lovely sterling silver ring is engraved with the phrase ‘this too shall pass’, inside it is inscribed the Hebrew translation Hakol Over Gam Ze Ya’avor. This lovely sterling silver ring is engraved with the phrase ‘this too shall pass’, inside it is inscribed the Hebrew translation Hakol Over Gam Ze Ya’avor. A simple and delicate ring, fit a gift for someone close or perhaps a gift for yourself. A simple and delicate ring, fit a gift for someone close or perhaps a gift for yourself.